Companies can use internet phone lines to cheaply make enormous numbers of recorded marketing calls. The Privacy and Electronic Communications Regulations (PECR) makes it clear that companies can only make automated calls to people who have specifically consented to being contacted in this way. But the ICO investigation found Prodial had no such consent. 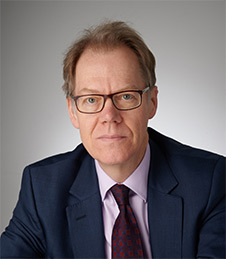 Company records indicated that the business may have generated in excess of £1million from the activities, but despite the sums of money involved, the company has been placed into voluntary liquidation by one of its directors Phillip Carrington. This is one of the worst cases of cold calling we have ever come across. The volume of calls made in just a few months was staggering. This was a company that knew it was breaking the law. A company director admitted that once the ICO became involved, the company shut down. That stopped the calls, but we want to send a clear message to other firms that this type of law-breaking will not pay. That is why we have handed out our highest ever fine. No matter what companies do to try to avoid the law, we will find a way to act. The ICO has also ordered three Manchester-based companies to stop making unsolicited nuisance calls. 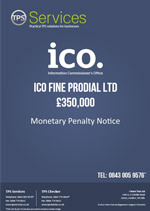 Advanced Voip Solutions Ltd, Money Help Marketing Ltd and Preferred Pension LLP have all been issued enforcement notices. A fourth company, The Review Experts Ltd, escaped an enforcement notice as it was dissolved. The companies have been ordered to stop automated calls or face legal action.